Today I had waffles for lunch. They were delicious! Waffles aren’t just for breakfast, they’re good any time of the day! In other news, I attended coworking at Bucketworks last night with Ashe Dryden. After the RubyMKE Meetup Matt Gauger stopped by and donated some equipment for the latest Time Lapse Bot upgrade. Patrick Schley also showed up and talked about plays and juggling. The sad part is, all the work I did at coworking ended up getting reverted today, as the upgrade to RoundCube failed. That’s ok… I’m sure I’ll try again! Posted on Tuesday, September 21st, 2010 at 1:21 pm. Subscribe to the comments feed. Both comments and pings are currently closed. Post on your own blog. Thanks for the shout-out! You know, that’s really all I *ever* talk about… plays and juggling. 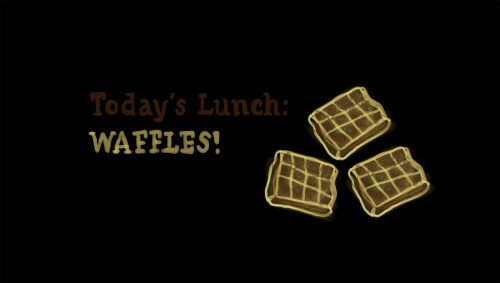 Waffles for lunch sounds great.